Why do people still use email? Because it’s a universal system. You don’t need to know what email-program somebody uses, you don’t need to know if he’s on Apple, Microsoft or Linux. You don’t care if he’s mobile or on a desktop or server. All you need is his (or her .. sorry 😉 email-address. But as soon as it comes to secure data or confidential message exchange, things are very different. Numerous services are fighting for users and supremacy. Most (if not all) require the knowledge of the software in use by the other party. But what if the other party doesn’t like this particular software? What if it isn’t available for his or her platform? What do you do if organizational regulations prohibit the installation of apps or software? Let’s say you need a 400 Mbyte data package from a customer. It’s confidential data so you can’t just “email” it (it’s too big anyway). You will have to give your customer instructions on what exact software to use, how to install and to configure, maybe even how to transfer the data from his desktop to his phone before he can even use the software. Now – if you would be using the packfrog, all you would have to say is: “Go to packfrog.com, enter my email-address and upload the data”. 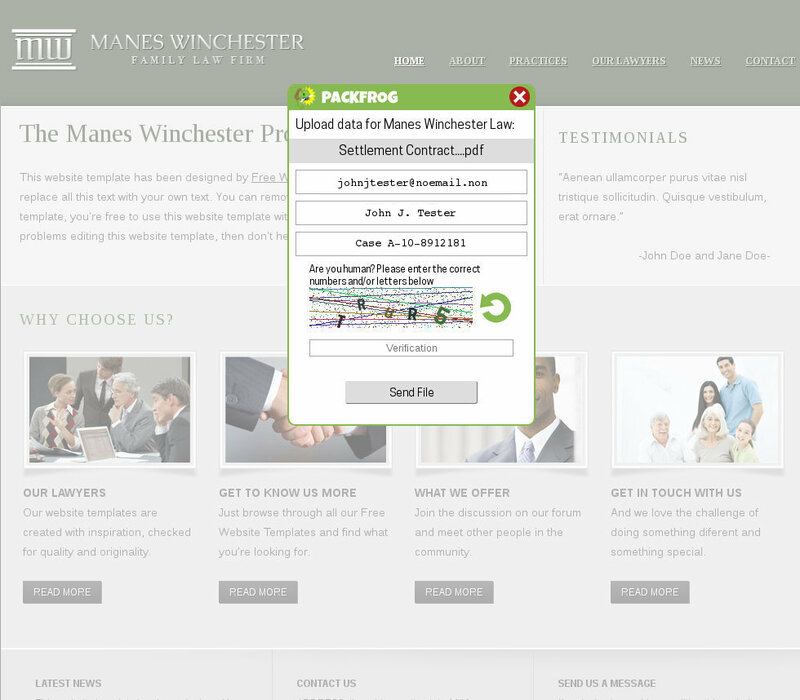 Or – even better – click on the “Send Confidential Data” link on our home page. Registered users can accept (and send) data from and to unregistered users, so your business partner doesn’t even need a registration. He can simply drag and drop the data and you’ll get a push notification and/or an email when the upload is ready. It’s fully end-to-end encrypted and the packfrog doesn’t even know the file name or type. You simply download the data from your laptop or mobile device and call it a day. 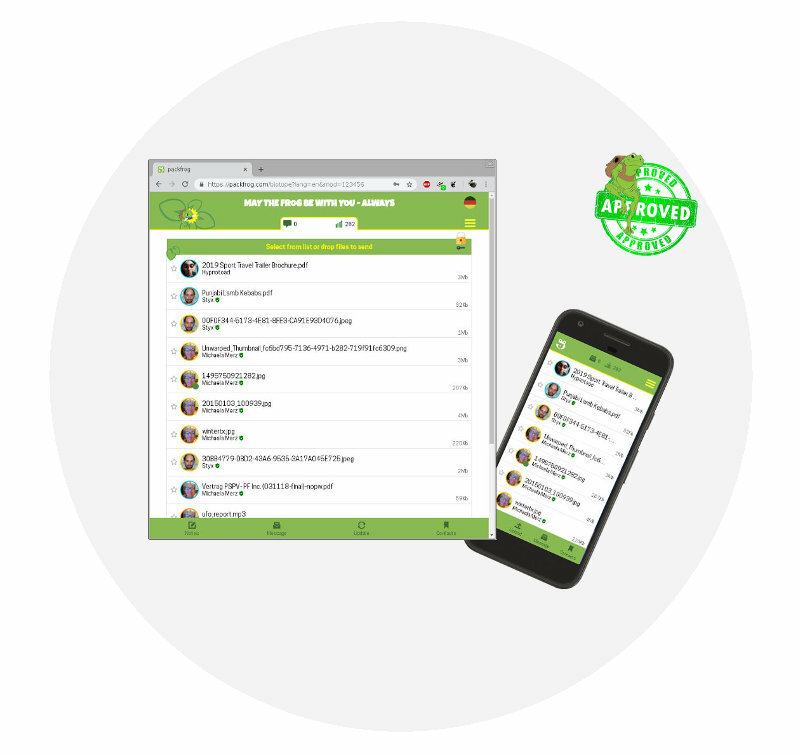 The end-to-end encrypted packfrog data-exchange and messaging platform is as universal as email. It’s based on modern web-technology, it runs on any modern browser, on any modern operating system, on mobile devices, desktops and laptops. Nothing to install or to download, the registration is done in 2 minutes and it’s free for almost all users. The packfrog is not (yet) a cloud storage service. You won’t get gigabytes of storage. It’s designed to facilitate the universal, easy and convenient exchange of data and messages. Without a lot of mambo-jambo, without digital hieroglyphics and without fuzz. It’s designed for normal folks in need of a way to exchange confidential data. So how secure is it? The packfrog has not been developed to protect military secrets. It’s encryption is meant to protect the data from us or those who illegally try to gain access. We are using sound and well known cryptographic algorithms (such as RSA, AES) and are additionally protecting the data by storing files in chunks distributed over different locations. So – we believe to have it covered. One more thing: The packfrog doesn’t know any confidential details of your messages or file exchanges. 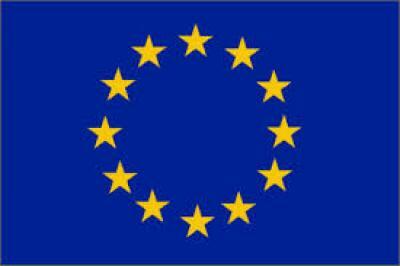 It can be used to accept and exchange data, even privacy regulated data, under the European General Data Protection Regulations (GDPRS). Let’s take one problem off your plate. 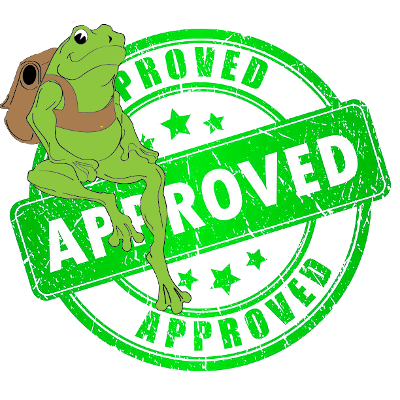 The packfrog has now been released into BETA status. You are welcome to try it out.